Thoughts of labor this holiday, however modest in its aspirations, invite me to contemplate the role of work in both defining and coloring the lives of my family. My grandfather Ray Regan was born in Harlem, in upper Manhattan, in 1898, to (possibly) Irish immigrant Edward Michael Regan, who census records indicate was born in "New York" in 1853. Interestingly, labor leader George Meany was born in Harlem four years earlier. (Read more about Meany on WG here.) Edward became an officer in the New York Police Department, entering the force in 1872 at the age of 19. He died in Manhattan in 1911, attaining the rank of lieutenant in the NYPD's mounted patrol. We heard he was, in fact, kicked by a horse, and this occasioned his final illness. Above, a Regan family portrait, circa 1910, with Ray Regan sitting, far right, on the lower step. We believe Edward may be sitting atop the railing, far left, and are working to confirm identities of the others pictured, as well as the locale. His son Ray, my grandfather, was the youngest of eight children. Ray worked as a bank teller as a young man, living with his mother, Mary E. Regan (nee Farrell) in an apartment on Franklin Avenue in the Morrisania section of the Bronx. In November 1917, Ray married Susan C. Condon in St. Augustine's Church in Morrisania. My grandma Sue was born in Manhattan's Upper West Side in 1897 but was moved as a young child to 'the country,' in Morrisania. Within a few years of their union, Ray and Sue moved the household, and two young sons, to a new home in the Richmond Hill section of Queens. Around that time, Ray seems to have landed a job as a sales representative for the prestigious Thonet furniture company, with factories based in Germany and Austria, and offices and representatives (and many accounts) in New York and elsewhere in the United States. Unlike so many other middle- and working-class Americans, Ray was able to work throughout the Great Depression and, in fact, worked for Thonet until his retirement a few years before his death in 1966, handling sales for the Archdiocese of New York. Ray's older brother Frank was, said my Dad, "muscle," an itinerant 'strikebreaker,' who disappeared for months or years at a time. When Frank would emerge, is brother Ray, ever gracious and supportive of his family, no matter their sins, would put Frank up in the small bedroom shared by my Dad and Dad's brother Raymond, forcing the two boys to share their bed and Frank's snoring. 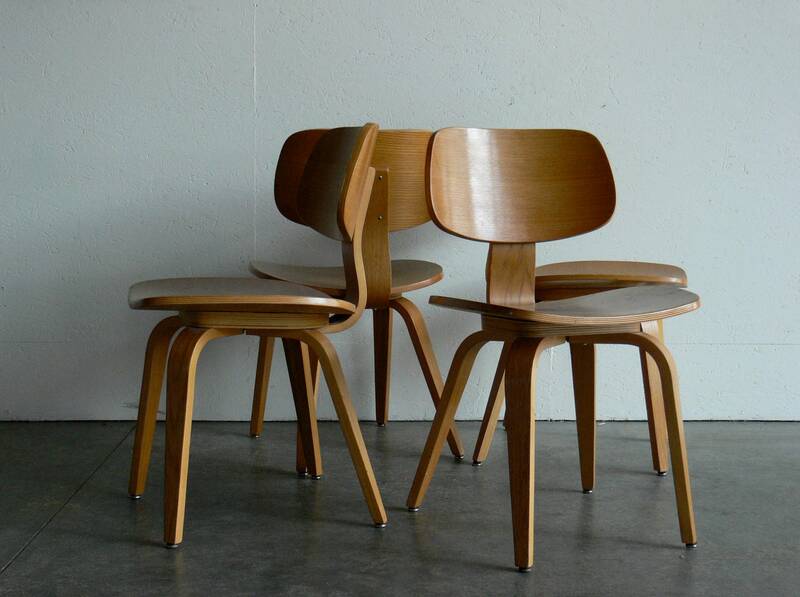 Photo left, several Thonet 'bent-wood' chairs, remarkable for their simplicity and beauty. Tantalizingly, we later heard that Frank, an imposing man, had a child through a hush-hush relationship with a woman upstate, something we've never confirmed. Underscoring his generosity, Ray took in his older sister Kathryn along with his new wife, in deference to Kathryn's care of him when he was a teen after his father died, when their mother grew less able. Kathryn lived with my grandparents from the time of their marriage till Ray finally heeded the final periodic ultimatum Sue issued him. Ray then put his sister, well into her 70s, into a rented, furnished room in a boarding house. Kathryn, after nearly 40 years a part of the household, never recovered from that dramatic and traumatic decision. The pall that created, in my own mind, darkly colors my recounting of our family history. Undoubtedly adding to the tension between Sue and Kathryn, neither were employed, with Sue a stay-at-home mom and Kathryn either not much interested in or never able to hold down a job. I do recall hearing about Kathryn trying to sell door-to-door, light bulbs or the like, near their neighborhood, but the effort didn't last long. My Dad, after his service in the U.S. Navy during World War II, entered the beer business, landing a succession of jobs in sales, each a step-up, starting with Trommers, then Ballantine , then Rheingold, where he became the Brooklyn sales manager in the glory days of the brewery, which went to head to head with Schaefer for bragging rights as the NYC's largest-selling brew. Eventually, my Dad headed Martlet Importing Co., created by Montreal-based Molson Breweries to give the company distribution in all 50 U.S. states and make Molson the #1 imported brand in the United States. He never got there, with Molson peaking at #2 when he stepped down in 1985. Photo right, a page from an advertising supplement, highlighting my Dad's success making Molson Beer and Ale a leading import within the United States. Unwittingly, the Martlet / Molson tenure brought our immediate family's history full circle as Dad often cited a persistent rumor that Edward Regan left Ireland for Canada, and finally arrived in New York City, but not before Edward was taken in by the Molson family, perhaps as a hire, though clearly not as an heir. Happy Labor Day! What a fascinating family history! A nice family piece Gerry. Nice to have that old photo too. My father was a Teamster in the Trucking industry. I remember the six-month strike in 1970 he was part of just after paying cash for a new Ford station wagon. We would get the news in all formats then, on the radio, the TV, and newspaper. I forget which strike it was when one of the scabs drove over and killed one of the striking truckers blocking the driveway. Those were tough times even though so much had already been accomplished. It was a reminder of how vulnerable the working stiff was. I believe all the players would be proud to learn that you retain such a thorough account of their lives. Thank you for sharing it here. A history that is deeply interesting to me. Instructive and sometimes very sad - admirably researched and succinctly set down. I have been told much of my own family's history. Some years after my mother's eldest sister emigrated from the family's small cottage in Hillside, north Donegal to Chicago in the very early twentieth century she sent back a hundred dollars. With this my grandfather built the first 2-storey house in the townland and there was enough left to buy two tea sets.